During the week of August 6th through the 12th, every person who meets the Locks of Love guidelines will receive a free haircut at participating Supercuts locations. Last year more than 700 people participated with over 7,000 inches of hair being donated to the organization. 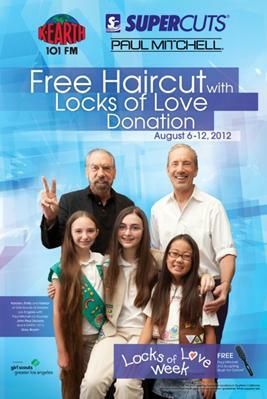 Girl Scouts who participate in the event and make a donation will earn a limited edition patch created especially for the Locks of Love campaign.